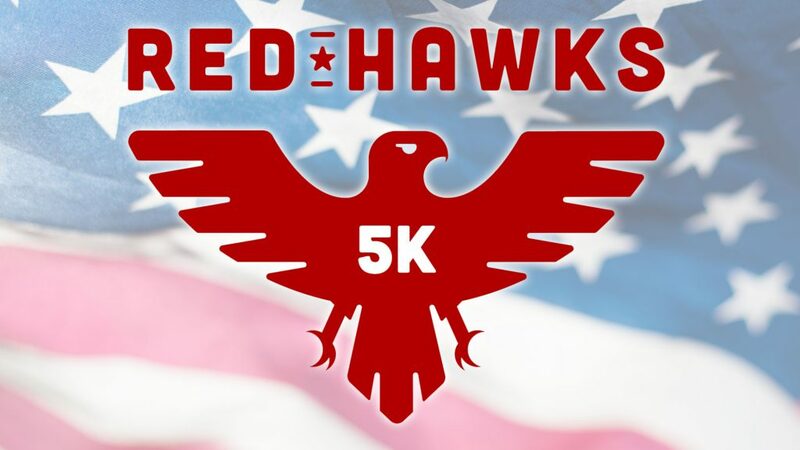 Join us for the RedHawks Armed Forces Day 5K starting and finishing at the National Guard Armory in Evansville (3000 E Division St.). Saturday, May 18th, 2019 starting at 8am. This event is hosted by the 1st Battalion, 163rd Field Artillery Unit – the RedHawks. All net proceeds of this event will go to the National Guard Adjunct Fund to assist local service members. Please help raise funds for our local heroes! Run with the RedHawks! The course will use the pedestrian bridge over the Lloyd Expressway and around the State Hospital grounds before returning to the Armory. We’ll get things underway with a BANG – a 105mm Howitzer starting gun salute! The 1-163D Field Artillery Battalion will be holding an open house. Come talk to local Soldiers and tour the static displays of various military equipment used by our Service Members and learn what it means to be a Citizen Soldier. Registration is only $25 for the run. There is a $5 discount for all service members and first responders. T-shirts for all paid participants (S-2XL) plus overall and age group awards. 1st-3rd Places for Age Groups (14-under, 15-19, 20-29, 30-39, 40-49, 50-59, 60+). Packet pickup starts at 7:00am on race morning.